Above: Promotional art for Fluid Movement’s HydroPrismEchoChamber, a tribute to McKeldin Fountain. It seemed like an inspired idea. Perform an ode to the McKeldin Fountain on the multi-level fountain itself, with dancers leaping from one platform to another, as a sort of farewell tribute to it. That was the vision of a well-known local performance art company, Fluid Movement, when its directors applied to perform during the Light City Baltimore festival that will be held at the Inner Harbor starting next month. 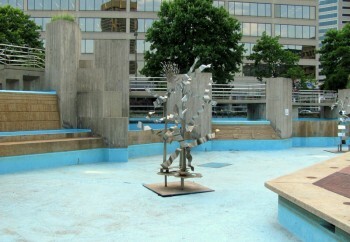 Artistic director Valarie Perez-Schere and producer Amanda Dice wrote the dance piece with the idea that the controversial Brutalist fountain, which the businessmen’s Downtown Partnership wants to tear down, would be both stage and subject matter for a 15-minute, site-specific performance inspired by the fountain itself. A jury chosen by the Light City Baltimore organizers accepted the proposal in a competitive process. Five shows were scheduled over the course of the festival, which runs from March 28 to April 3. Fluid Movement was told that HydroPrismEchoChamber, as the piece is called, would have to be performed in an alternate location, not at the fountain itself. The site they were given is the Inner Harbor amphitheater, between the two Harborplace pavilions. The group seems to have gotten snarled up in the politics and personalities tangling over the fate of the 33-year-old water feature, reviled by some and beloved by others. Now, though, plans for Fluid Movement’s performances (and a host of other features and activities in the seven day festival) have been finalized and are being announced today at an Inner Harbor news conference. Perhaps having the venue rug pulled out from under the dance troupe was just one more chapter in the fountain’s lately-tortured history. Perez-Schere said she was delighted when Light City accepted their proposal to present a performance about the large concrete water feature and plaza that occupies the triangular traffic island at Pratt and Light streets. The piece “celebrates the history of McKeldin Fountain, soon to be a part of Baltimore’s past,” producers said in a statement distributed to potential performers at a sign-up event last month. Dice, HydroPrismEchoChamber co-producer, choreographer, and longtime Fluid Movement performer & director, is the mastermind behind the piece, Perez-Schere said. “She’s been inspired by the fountain itself for some time, and has wanted to use the different levels, planes and depths to create a dance piece,” she said. 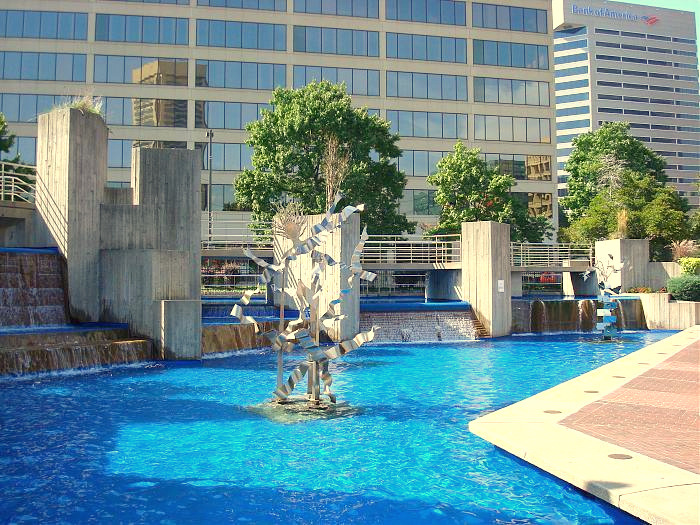 The McKeldin Fountain was completed in 1982 and dedicated in honor of Theodore McKeldin, the former mayor and governor who is credited with proposing the revitalization of Baltimore’s Inner Harbor in a 1963 speech. A private group, the Downtown Partnership of Baltimore, wants to tear down the publicly owned fountain because some of its members have complained about it and want a more welcoming gateway to the city. Fluid Movement’s Valarie Perez-Schere and Amanda Dice had envisioned a performance about McKeldin Fountain at McKeldin Fountain. According to Downtown Partnership president Kirby Fowler, the proposed demolition has strong support from Mayor Stephanie Rawlings-Blake and members of the McKeldin family, as well as his organization of property owners. 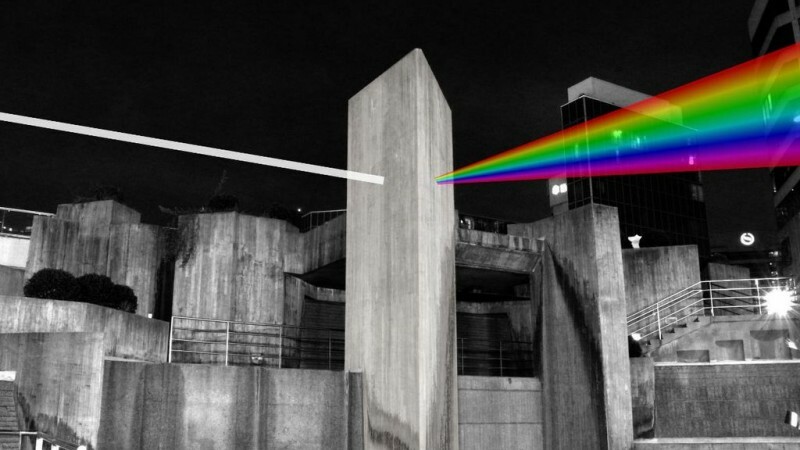 Local artists, architects and others, meanwhile, oppose the demolition plan, saying the fountain is a city owned work of public art and a civic memorial that deserves to stay in place. Fowler said in December that the Downtown Partnership has raised enough funds to start demolition and that he hopes to see work begin soon after the Light City festival is over. A spokesperson for Baltimore’s Office of Promotion and the Arts (BOPA) said festival planners assigned Fluid Movement to a different location because of the pending demolition and the possibility that preliminary sitework may be underway by the time the Light City festival starts in late March. Tracy Baskerville, the BOPA spokesperson, said her office has been notified that all water to the fountain will be turned off by March and the fountain may be surrounded by a construction fence. The authors of HydroPrismEchoChamber said they aren’t seeking to protest the demolition of the fountain, although they admit their piece was partially inspired by the fact that it may soon disappear. “It’s not a protest. We’re celebrating its life,” Dice said. They said they decided to create a piece about the fountain primarily because they thought it would be an interesting and challenging place to perform. As the producers explain it, the piece has four parts that tell the story of the life of the fountain over four decades in downtown Baltimore, through music, dance and costumes. The first section, Dice said, will pay tribute to the workforce of the 1980s, with dancers dressed like office workers in the business district. 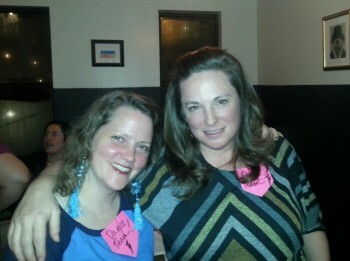 Then the dancers will change costumes and become service workers in the 1990s. In the third segment, the performers will put on bodysuits and morph into drops of water, becoming one with the fountain. The last segment, and potentially the saddest, will cover a period when the fountain was often “broken down” or out of commission, Dice said. With rehearsals beginning this month, Perez-Schere said Fluid Movement is adapting to the new location, in part by reworking the choreography and building props that simulate the prisms of the concrete fountain. She said Fluid Movement is accustomed to changing circumstances. She said the group is excited to be part of the Light City festival. Fluid Movement is scheduled to perform HydroPrismEchoChamber at the Inner Harbor amphitheater on Tuesday March 29th, at 6:30 p.m., 8:30 p.m., and 10:30 p.m., and Saturday April 2 at 6:30 p.m. and 8:30 p.m. About 40 people will perform, in addition to 20 stage crew and crowd handlers. Even though Fluid Movement won’t be performing at the McKeldin Fountain during the Light City festival, two other arts groups will be located at McKeldin Plaza, the open space next to it on the traffic island. One is Pilobolus, a modern dance group that has performed around the world. The second is an art installation by Luminous Intervention, a seven-person arts collective that combines video art and activism by using large-scale video projections in public spaces to highlight social and economic issues, according to its website. The collective grew out of the Occupy Baltimore movement, which was based at McKeldin Plaza in 2011. It’s based in Baltimore and made up of artists, activists, engineers, and educators. Mike McGuire, a member of the group, declined to discuss its plans for the McKeldin site. Baskerville said its piece will consist of “verbal projections that explore Baltimore City policy decisions regarding police violence, education, recreation, and housing.